If you’re at all familiar with Santa Fe, then you know that The City Different is a spectacular shopping destination. If you’ve yet to experience the wonders of shopping in Santa Fe, then you in for an exquisite treat. With a wonderful variety of boutiques and independent shops to visit, Santa Fe is a true shoppers paradise. If you’re looking for a unique way to spend some time shopping in the city, why not try a little antiquing? Santa Fe is, after all, the country’s oldest capital city, and offers visitors a truly beautiful visual canvas from which to shop. Book your room at our luxury Santa Fe Bed and Breakfast now, and get ready for a journey like no other antiquing in Santa Fe. 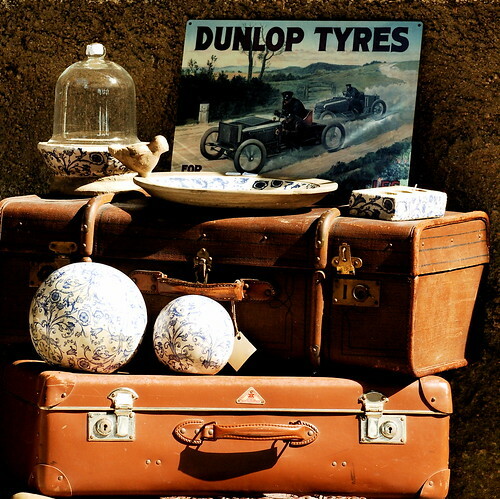 Antique shows can be a fun and exciting way to browse a wide variety of antique goods. This summer, Santa Fe will celebrate the annual Whitehawk Antique Shows. These exciting events features two full weekends of antique shows, which have been called “the granddaddy of them all” by Alice Kaufman of Maine Antique Digest. Each of these shows will surely be an antiquing paradise, with over 100 dealers and merchandise that won’t be found anywhere else. Starting on August 13th and running through the weekend is the 31st annual Ethnographic Art Show. On the following weekend, starting on August 16th, will be the 37th annual Antique Indian Art Show. If you miss the excitement of the Whitehawk Antique Shows, don’t fret. Santa Fe is home to a number of antique and consignment shops, both of which provide you with an unparalleled chance of finding a truly unique and interesting piece of Santa Fe to take home. Popular antiquing destinations include Early Street Antiques, House of Ancestors Antiques, Coulter-Brooks Art & Antiques, and Recollections Fine Consignments, Inc. No matter where you choose to go, antiquing in Santa Fe is sure to bring you untold treasures and plenty of fun along the way. Book your room at our luxurious Inn today, and get started on your antiquing journey through historic Santa Fe.